On Friday morning (October 9th) a spacecraft the size of a VW bus will crash into our only moon. 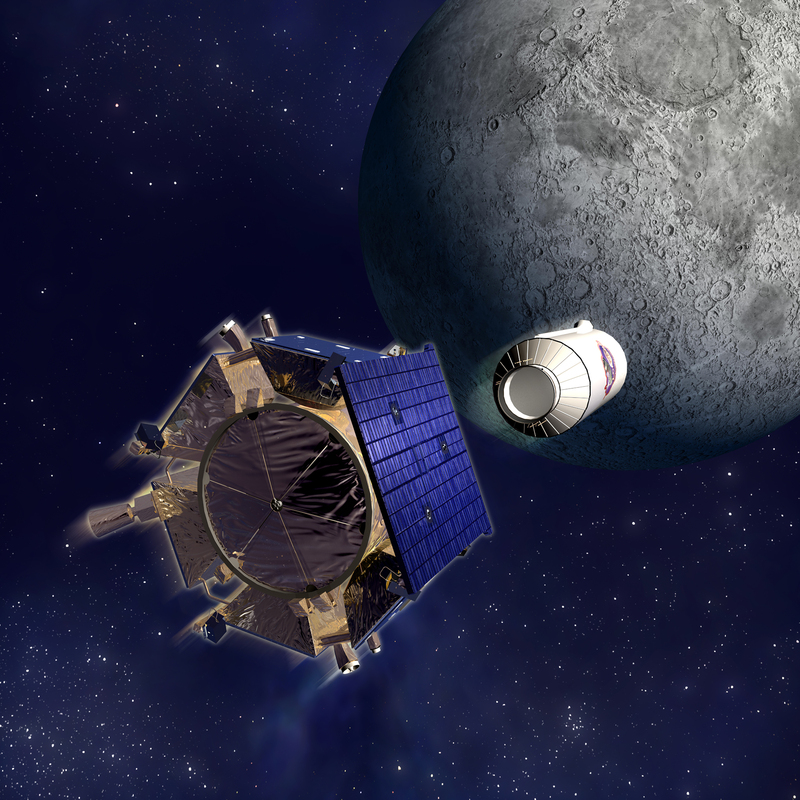 LCROSS, or: the Lunar CRater Observation and Sensing Satellite is meant to shake up the surface of the moon in attempt to determine what can be upturned (water please?) following a huge punch in the moon’s face. The mission is part of a larger goal to map the moon’s resources to determine just how much chicken salad workers on a moon base would need to bring with to survive. image: Artist rendering of the LCROSS + Centaur. Click for larger. LCROSS Animation on KQED Public Media. If you’d like more information, visit the NASA LCROSS site.